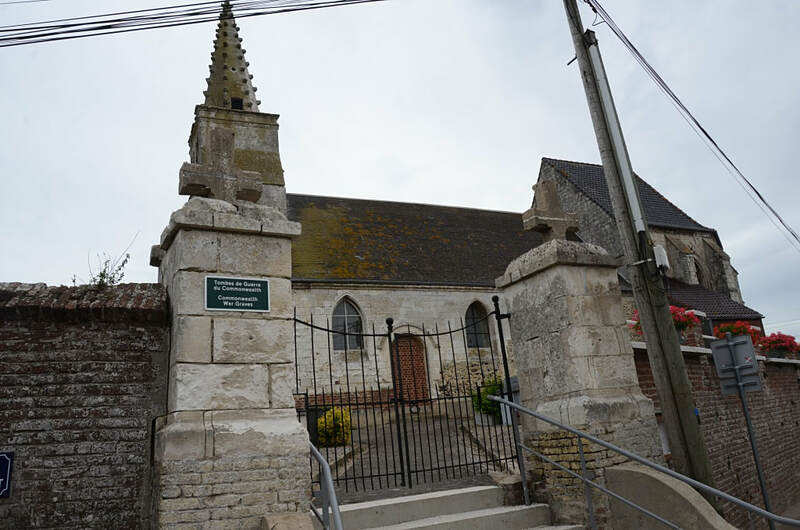 Nort-Leulinghem is a village situated 14 km north-west of St. Omer in the Department of the Pas de Calais. 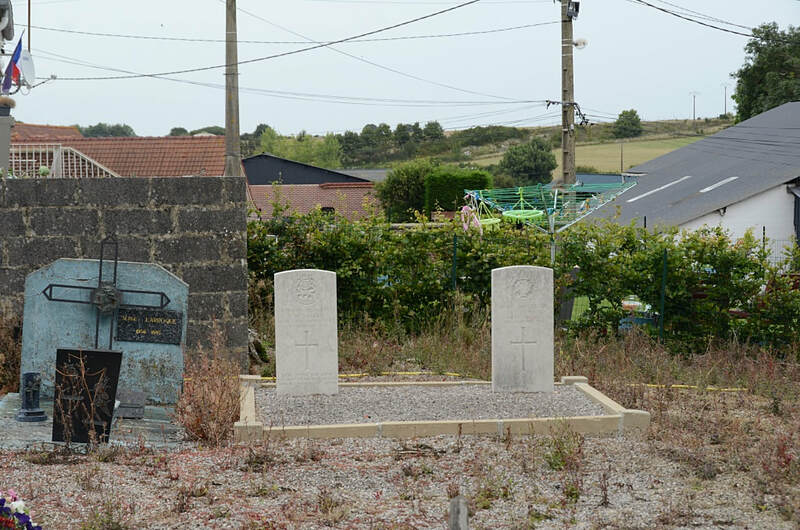 In the north-east part of the churchyard are two soldiers of the Great War. 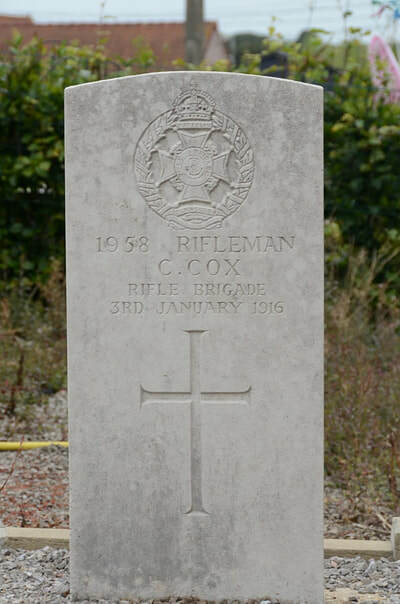 1958 Rifleman J. Cox, 3rd Bn. 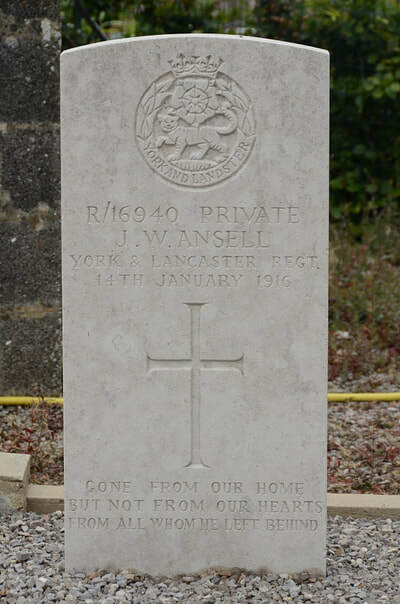 The Rifle Brigade, died 3rd January 1916.